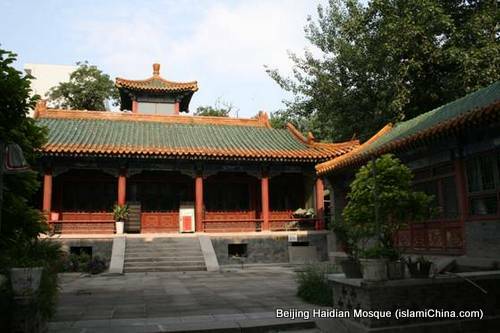 Beijing Haidian mosque was originally built in the late years of Ming Dynasty. During the years of Jiaqing in the Qing Dynasty, it was renovated and extended, gradually forming the present scale. 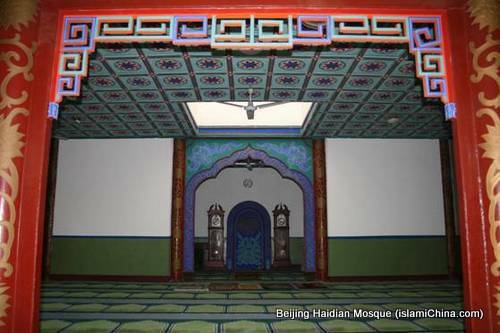 Most of the Muslims having religious service in Haidian Mosque are students from Beijing University, Central University of Nationalities, and Beijing Foreign Studies University etc. near around. 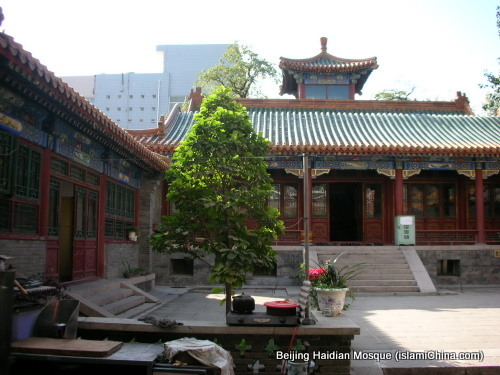 Occasionally, foreign students studying in Beijing from Arabic countries will also go there. 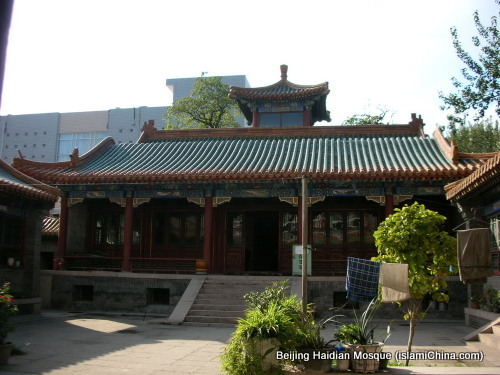 A rather great number of businessmen living in Beijing temporarily also go to have religious service there.